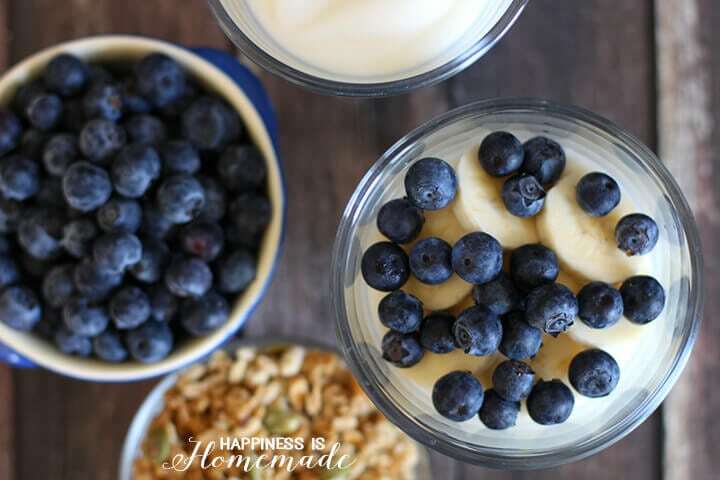 These fun blueberry and banana breakfast parfaits are quick, easy, healthy and delicious! 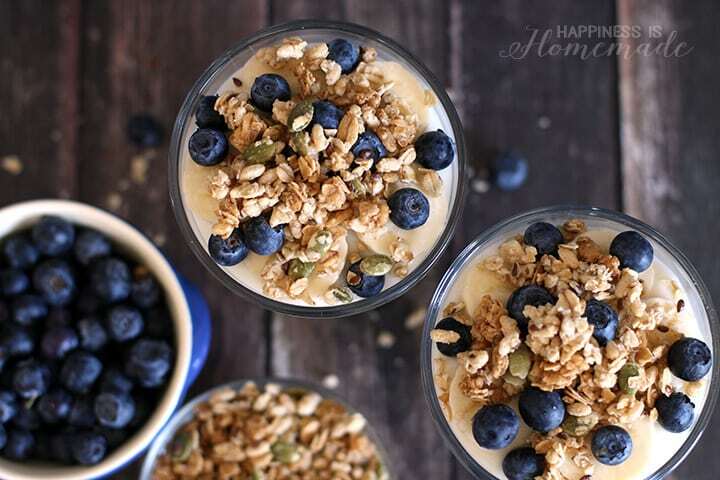 Topped with creamy yogurt, granola and flax seeds – YUM! 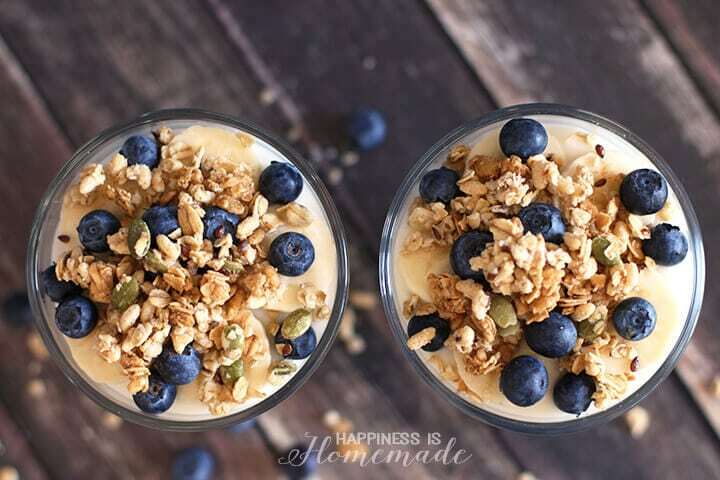 All it takes to create this simple healthy breakfast is a banana, blueberries, Mountain High Yoghurt, and your favorite granola! 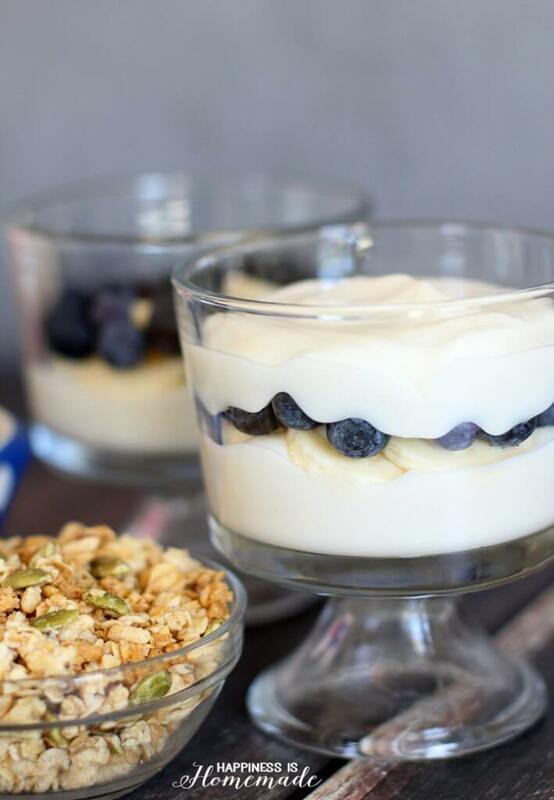 I prefer to use vanilla yoghurt in this recipe, but since my kiddos all like different flavors, I occasionally buy plain yoghurt, and let them flavor it themselves with vanilla bean paste/extract, honey or jam. 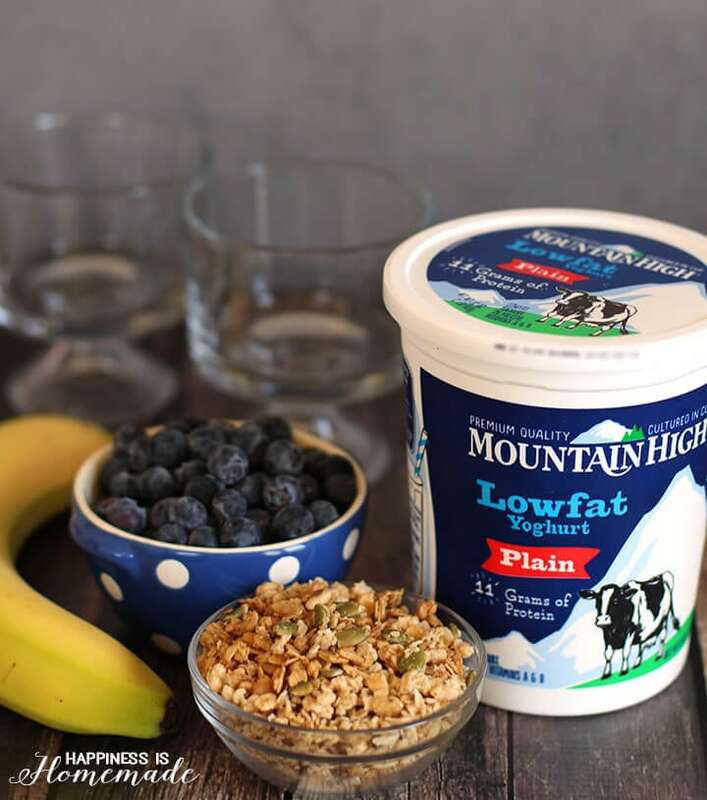 I like to use Mountain High Yoghurt because it is high in protein, and a perfect way to start your day! 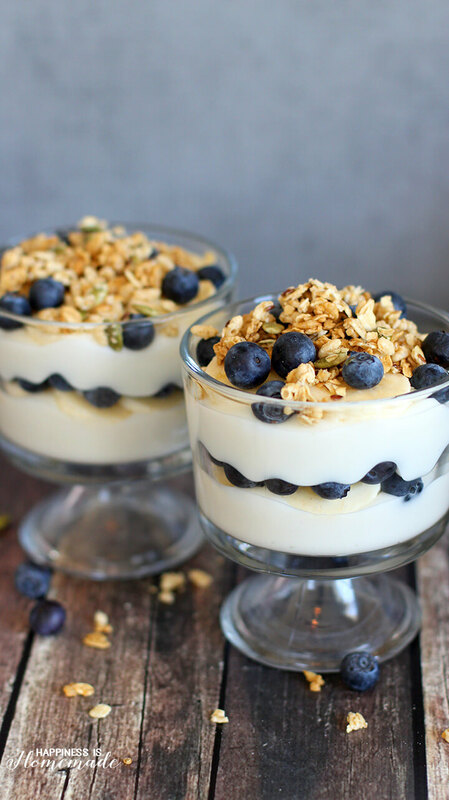 I started by flavoring our yoghurt with a bit of vanilla extract, and then adding a thin layer of yoghurt to the bottom of the parfait cups. 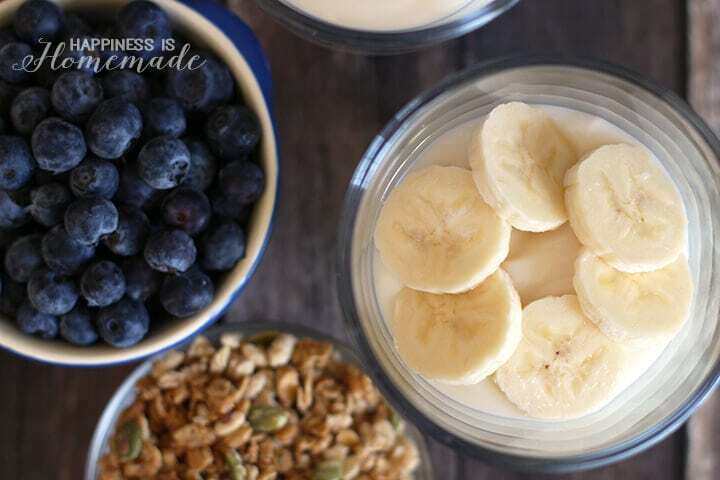 Top the yoghurt layer with sliced bananas and blueberries. Continue to alternate layers of fruit and yoghurt until your parfait dish is full. Top with a sprinkle of your favorite granola. My favorite is from our grocer’s bulk bins, and it’s packed full of flax and pumpkin seeds. Breakfast is served! Easy peasy! 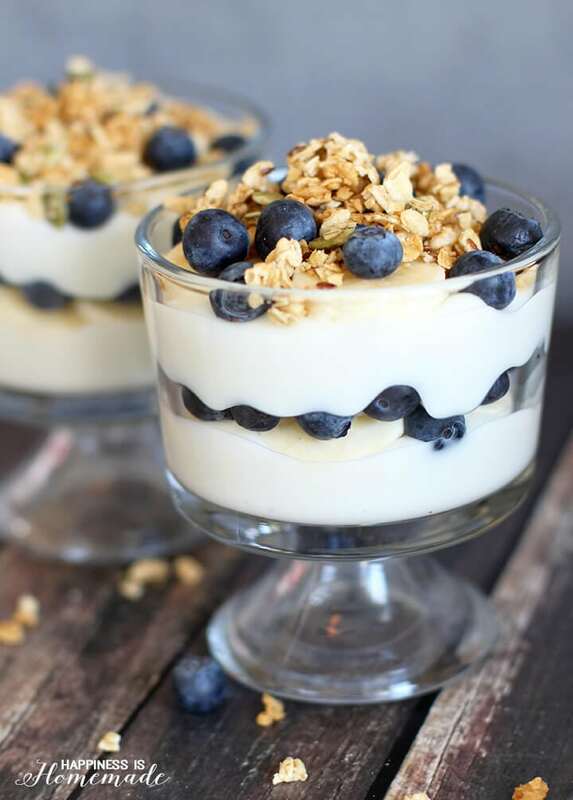 These breakfast parfaits are extremely kid-friendly, too! 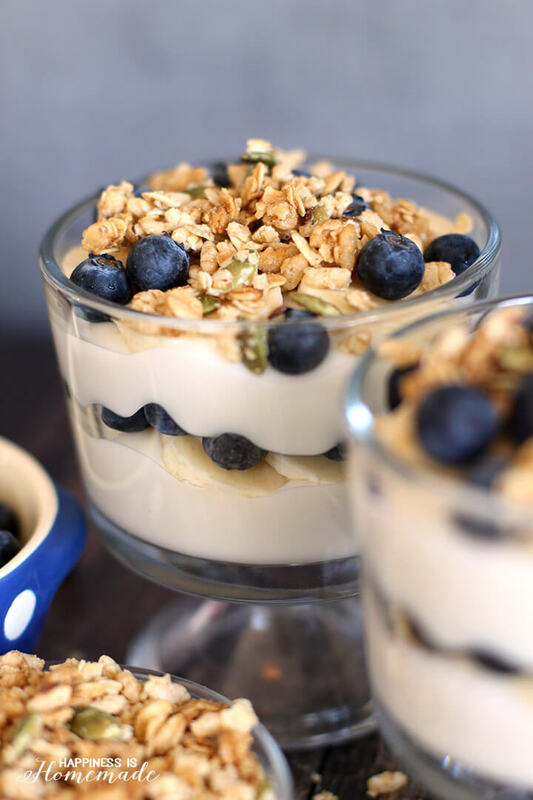 Bananas, blueberries and yoghurt with granola are a few of my 4-year-old’s favorite foods, so he polished off an entire parfait in about three minutes flat! For even more delicious recipes and money-saving coupons, visit the Mountain High Yoghurt website, and give them a follow on Facebook, Pinterest, and Instagram! I think it would make a great light dessert too! Yum! Blueberries and bananas? Everything my husband and I love!! I love the idea of adding vanilla extract for flavor without the sweetness! I want to get some cute little parfait glasses like that! I went to BB&B thinking I’d find some but no dice. Where did you get them? 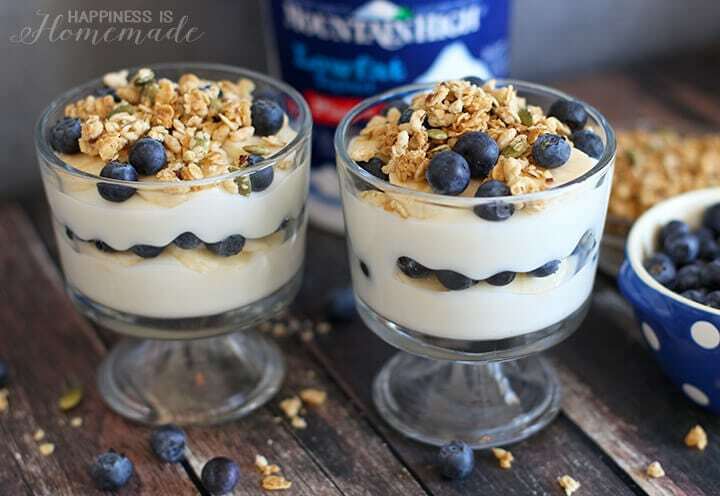 We have been making several parfaits since it is a good summer treat. 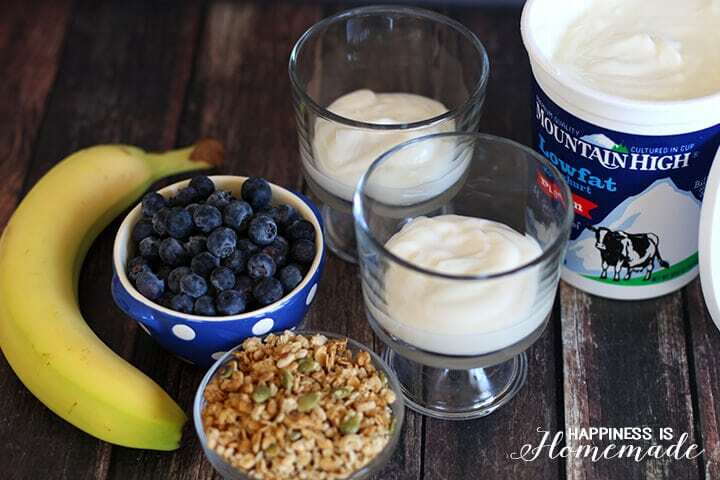 Banana and Blueberry makes a great combo!